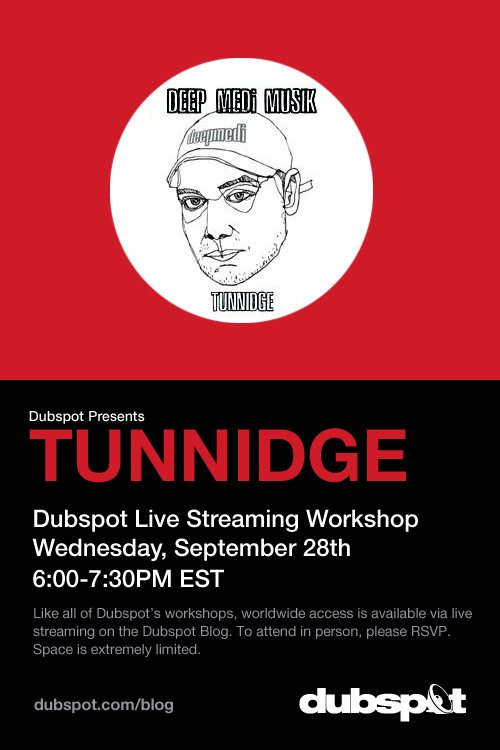 Dubspot is pleased to announce that our next live streaming workshop will be with Deep Medi Musik recording artist Tunnidge. He will be demonstrating his production techniques and talking about his creative process. Tunnidge’s workshop will take place on Wednesday, September 28, 6PM – 7:30PM. Please RSVP on our Facebook page if you would like to attend the event in person, otherwise return to this post to watch the live stream from the comfort of your home. Characterized by his a laser-like focus on woozy, alien basslines, and devastating drops, Tunnidge is a producer as much as he is a sound designer. Emerging from South London’s dubstep scene in 2005, Tunnidge has stayed true to the deeper, more spacious elements of the dubstep made by folks like Mala (Deep Medi label head) and his Digital Mystikz project. After hanging around a quickly coalescing group of producers, Tunnidge not only put out some of Deep Medi’s first releases, but also did the artwork to go with them. Deep Medi releases are now often characterized by drawings of the release’s producer, all of them drawn by hand from Mr. Tunnidge himself. Tunnidge is currently wrapping up a US Tour, with just a few more dates left. Don’t miss an opportunity to catch him live! Below, we’ve listed the remaining dates, which include stops in Detroit, NYC, and Chapel Hill, NC. Tonight, Tunnidge plays Detroit’s Datswotsup! party at Oslo nightclub. Tomorrow, he will touch down in NYC playing Reconstrvct at The Morgan – alongside Joe Nice, TrueNature, Bunzer0 & Mr. Jo, C Dubs. Also catch him at Chapel Hill, North Carolina at Signal Festival on September 29th at Players Nightclub. 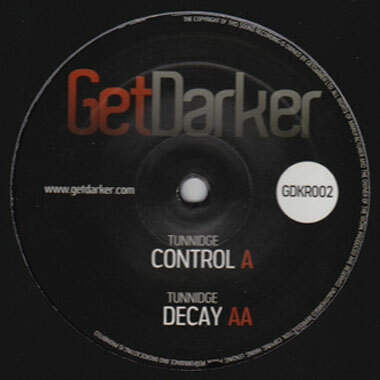 Released last month on the Get Darker imprint, Tunnidge’s latest 12” is “Control” b/w “Decay.” The latter sounds like standing outside of a space ship construction zone as metal gets tirelessly reworked, and the muffled sound of a metal-on-metal saw occasionally rises and falls. 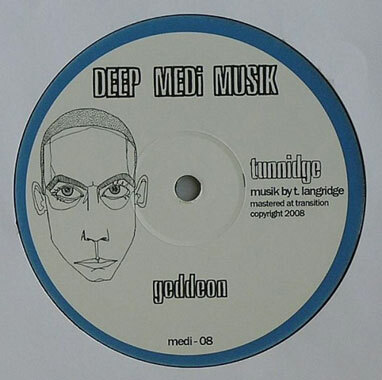 An easy standout release from both the Tunnidge catalog and Deep Medi’s is 2008’s blistering “Geddeon,” which expertly positions a ruff ragga vocal with an ethereal female voice, creating an emotional palette ripe for a heavy drop that bubbles and bounces with a tight, thick bassline. 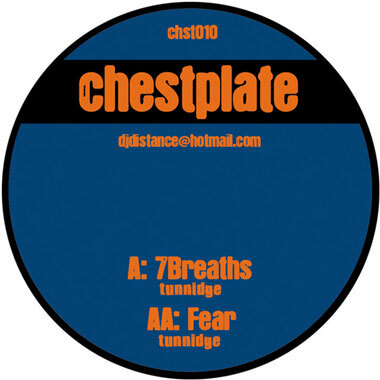 In other decidedly gothic and relentless productions like “7 Breaths,” a release for Distance’s Chestplate imprint, Tunnidge unleashes a stomach-turning amount of bass weight that will have anyone near a sub, out of breath. will this be posted up online later? 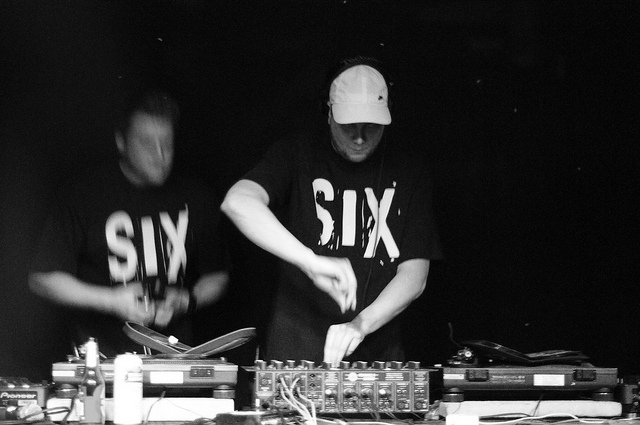 still waiting for the shlohmo and salva workshop to be uploaded….will this one be aswell?